Whether or not your McKinney, TX home has a home theater, it should absolutely have a surround sound media room. This is the room where the family gathers to watch TV, play games, and maybe even read. Audio Video Innovations can equip that room with the most modern technology available. From 4K Sony TVs, to Dolby Atmos (or 5.1 or 7.2 surround receivers) we can make sure your home makes entertaining a priority. If your media room is dated, with an old TV, and a remote control that no one can remember how to use, let us help. We can provide and install a modern 4K Smart TV, hide all of the wires and make sure that everyone in the family can work it. Maybe you just need an Apple TV, a Roku or an Amazon Fire Box added to your exising system. We can help with that too. There is no media room too big or too small for us to help. Whether you are watching movies, concerts, TV shows, or the big game on Sunday or enjoying family game night, you will enjoy the perfect audio video experience in a comfortable setting. Because everyone has different tastes in movies, music and games, we take the time to understand your needs to ensure that you have a custom media room to fit you needs and tastes. 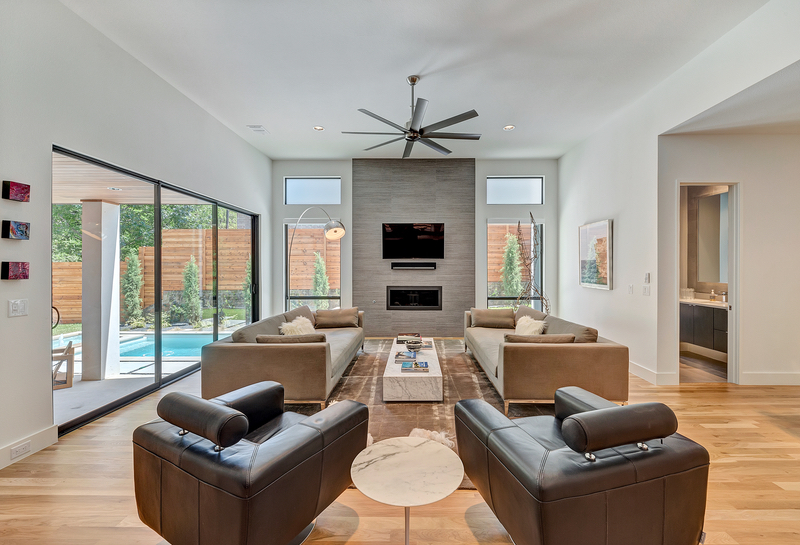 If you are looking for a 4K TV over a fireplae, or a Dolby Atmos system tucked into the ceiling or walls of your McKinney home, AVI is here to help.